MADE FOR USA – It doesn’t matter if you want to use your stretching strap as a yoga stretch strap to boost your flexibility, an exercise band strap to increase your strength or you want to rely on the stretching strap as a more gentle and caring therapy strap or leg stretch strap. 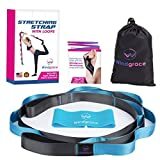 Windgrace stretching strap with loops is adjustable and easily customizable for every use allowing you to gradually increase the difficulty level of your stretches and exercises. GENTLE ON YOUR SKIN – Comparing Windgrace stretching straps to other stretch band strap you would see amazing difference as, Windgrace really want to take care of you, of your body, your safety and health too. 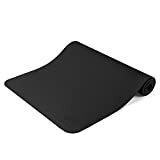 Featuring soft neoprene handles and a smooth surface, this stretching band feels soft and gentle on your skin, causing no rubbing or irritation for a safer and more comfortable fitness and stretching experience. LONG LASTING STRAP – If you’re looking for a quality product you can use and stress over time without tearing apart or ruin while using it Windgrace stretching strap with loops is exactly what you need to add to your fitness or stretch routine – Made from LONG-LASTING NYLON, NON-ELASTIC material, the stretching strap offers optimal resistance and great stability, never losing its shape. 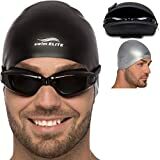 A little investment for your future fitness adventures. PREMIUM BUNDLE AND STARTER KITS – Once you buy your yoga strap stretching, you won’t have to stroll around looking for info about how to use it and what kind of exercises you can try as you will also receive and YOGA SUPREME GUIDE eBook, poses Booklet, a short training video to get you started. In the packing box, you will also find a RESISTANCE BAND and a nice carry bag. There is one more surprise for you: your stretching bands come safely wrapped in a beautiful gift box! SATISFACTION GUARANTEED – Windgrace exercise stretch bands are meant to provide you a perfect training experience becoming the foundation of your stretching equipment. In the unlikely case that your exercise stretching strap doesn’t suit you and your expectations, just send it back for a full refund!